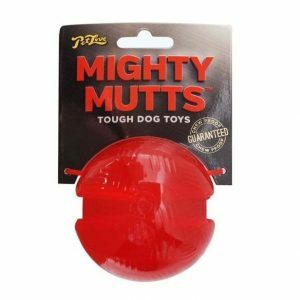 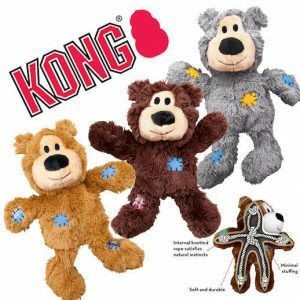 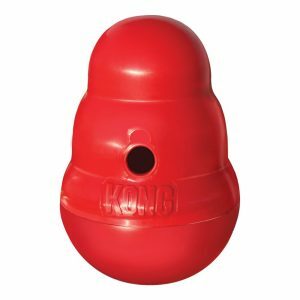 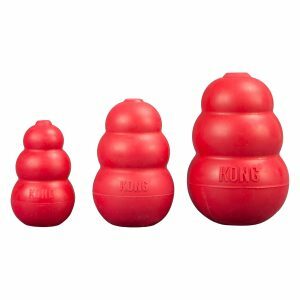 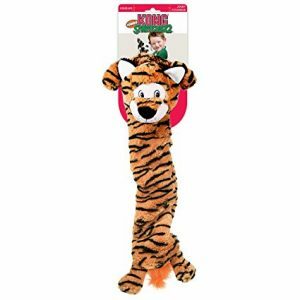 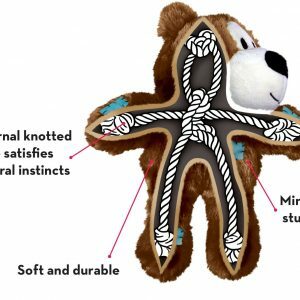 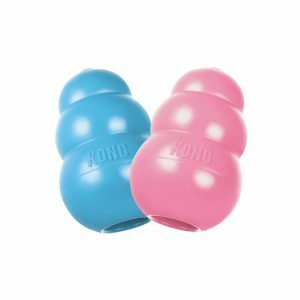 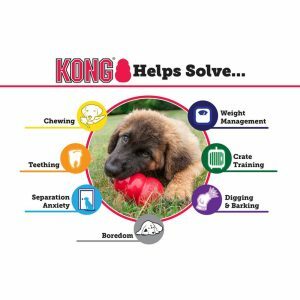 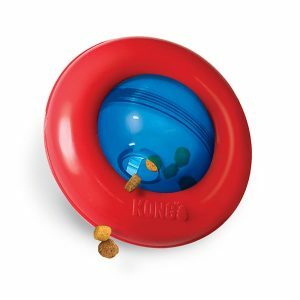 When pushed with a paw or nose KONG Spin It temps your pup by spinning and rolling away, rewarding with treats or kibble as it moves. 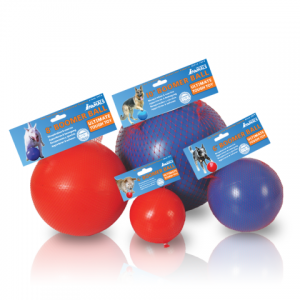 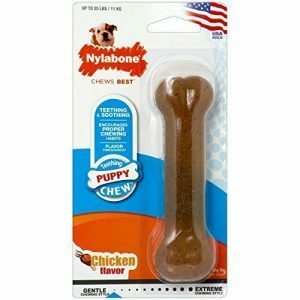 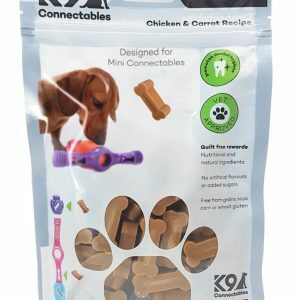 Built from a durable material, your dog will be sure to have on-going mental stimulation while enjoying a yummy, entertaining experience. 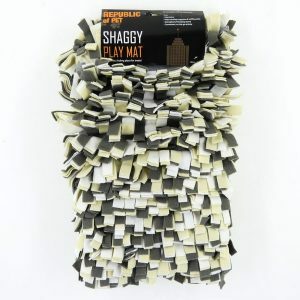 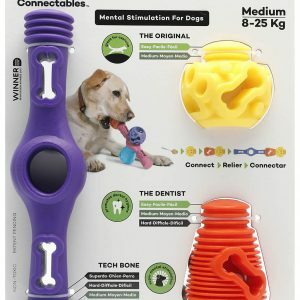 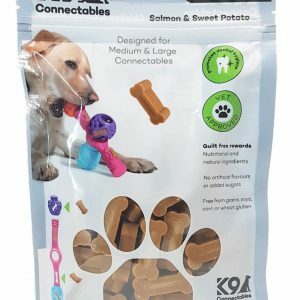 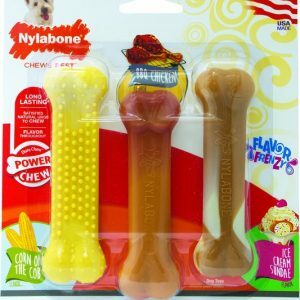 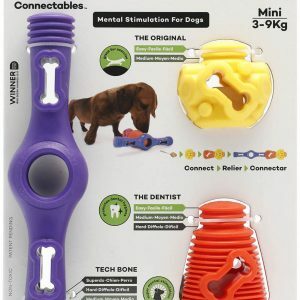 Dogs can’t resist the array of snacks spinning inside and the textured surface makes it easy to propel adding to the on-going treat rewarding fun. 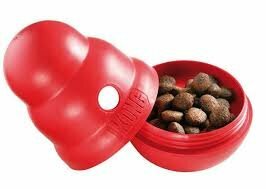 Use instead of a food bowl to slow down eating and help control weight.